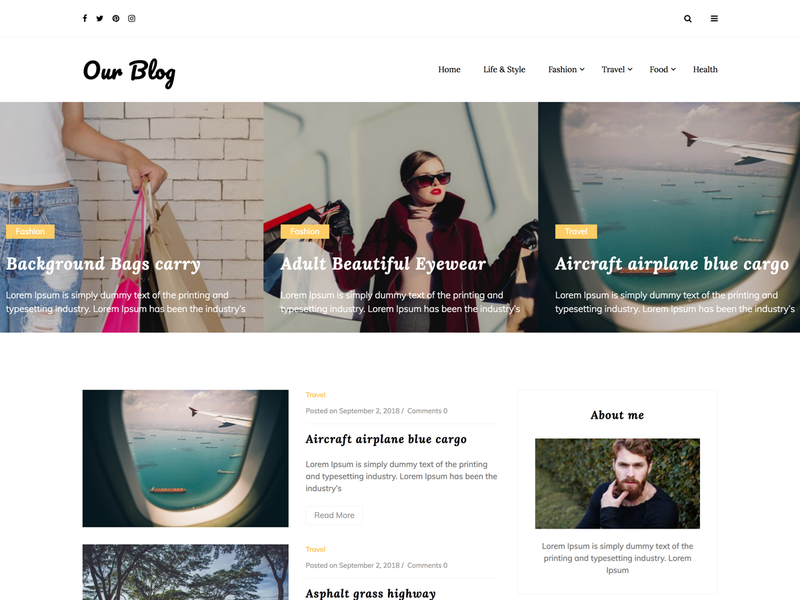 Our Blog is clean, modern and minimal blog theme. This responsive theme is best to use for blog, travel, informative and lifestyle coaches. It comes with the option to change the color of an entire site, author profile widget, social links to connect with social networking sites and more.